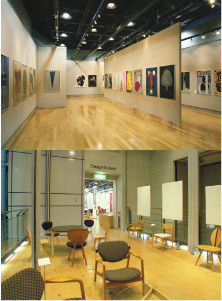 The Design Gallery, an exhibition space consisting of an exhibit room with four meter-high ceilings and an open bridge facing an atrium, provides a superb location for IdcN's temporary exhibits as well as for initial introductions of new products by companies, designers and groups. creators shop Loop, a space for encouraging initiation, gives creators a place to test out their ambitious proposals in creative fields and supports their activities. 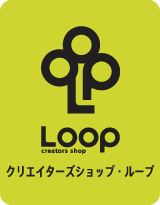 Named "Loop" to indicate the feedback between creator and user, it was designed as a marketing-based shop that gives creators who plan to establish themselves in the Nagoya area the opportunity to sell their products, find out about users' needs and plug this response back into product development. Tenants are chosen by the judging committee and work on display from the ground up, sell their products, hold events and publicize their activities. Comprised of charming and discerning tenants like cafes, boutiques and fashion retailers, Shopping Mall CREARE is a commercial facility leading in the fashion and lifestyle spheres. A diverse range of design-oriented tenants, offering fashion options for men and women ranging from casual to formal, are founded on the concept of superior design for seeing, buying, using and enjoying. The creators shop Loop ends the 11th session on March 11 2019. 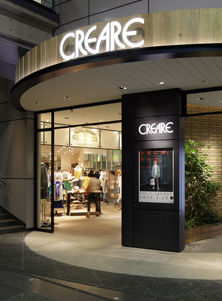 After a temporary closure for shop renovation work, receiving new tenants, the shop will relocate/open at CREARE B1f from the 12th session on April 26 2019.